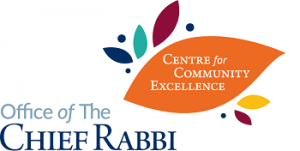 Participants in Redbridge’s ShabbatUK Friday night service and Young Families dinner were left wanting more as they expressed a desire to come back for more Kabbalat Shabbatot. The next day saw a full ShabbatUK schedule, as the scholar-in-residence Joel Sager – Headteacher of Pardes House Primary School – led a discussion at the Cholent Kiddush and local MP Wes Streeting came to discuss local issues after an upbeat and sociable communal lunch. Almost 40 people stayed on for Mincha and the Seuda Shlishit, rounding off their full Shabbat experience with quirky Havdalah led by Joel. We started with a Friday night Family dinner, which was attended by around 60 people including 14 children. We enjoyed a Carlebach Kabelat Shabbat, singing Shabbat songs at the table. Rabbi Singer led the singing and our resident Scholar Claude Voight gave an interesting drosha. the Shabbat after the service we had kiddush followed by a talk with questions and answers by our resident Scholar, the theme of the day was Shabbat around the world and we had almost 100 people spread around ten tables, each of which had the flag of a particular country and also a sample of food typical of the country, a person on each table had been selected to read a speech about how Shabbat was celebrated in that country, this went down very well, the meal was accompanied by hot cholent and lokshen kugel, our guest speaker was Judge Martyn Zeidman who was most entertaining and it was said by many that he was probably the best speaker that we had had. I think that this programme did impact on a lot of people who would not normally have kept Shabbat, they learned that keeping Shabbat is not just about going to Shul, but also it can be fun and enjoyable to share the experience with others, it gave the community a nice feeling of achievement and we are already planning a Friday night meal for Chanukah, this also coincides with our new Rabbi’s first Shabbat, so should give him a good springboard for the future.